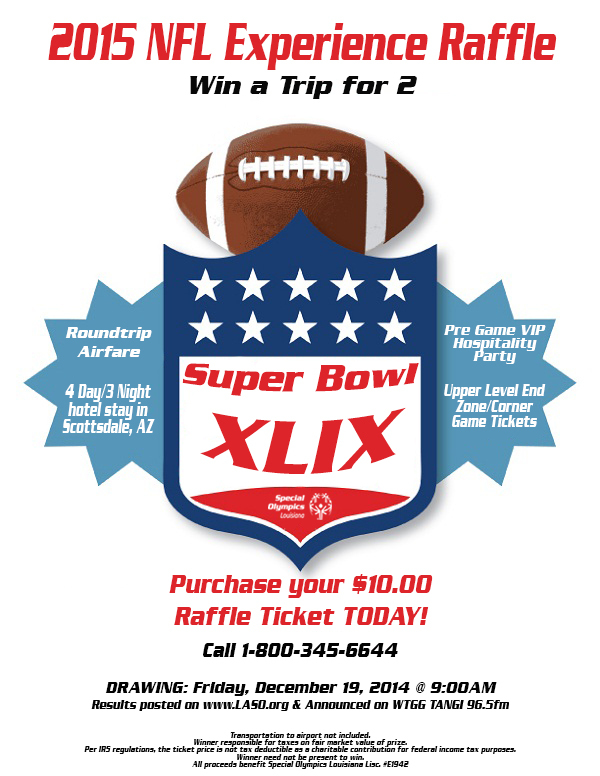 Special Olympics Louisiana is giving one lucky football fan and a guest a chance to win a trip to Super Bowl XLIX (49) in Arizona for ONLY $10! To purchase your raffle tickets, give us a call at 1-800-345-6644! Drawing will be held on Friday, December 19th, live on the Johnny in the Morning show on Tangi 96.5 and will be posted to www.laso.org. Round trip airfare to Scottsdale, Arizona. A 4 day/3 night hotel stay. Invitation to the pre game VIP hospitality party. Upper level end zone/ corner game tickets. 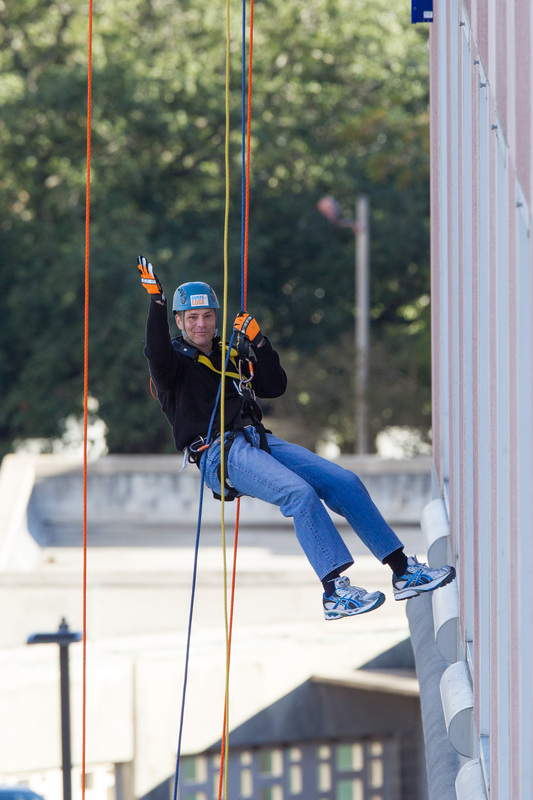 On Friday, December 5th, Special Olympics Louisiana will host NOLA Over the Edge: SWAT Edition! Whether you are fearless or looking to overcome your fears, NOLA Over the Edge: SWAT Edition is the challenge for you! This event is the Ultimate Adrenaline Rush! On December 5, 2014 participants will get the opportunity to RAPPEL 25 stories down NOLA’s Benson Tower, RIDE in a helicopter & SWAT train with Louisiana’s finest at the Jefferson Parish Sheriff’s Training Facility, while raising much needed funds for Special Olympics Louisiana athletes! If YOU are brave, click here to register! This event could not be possible with out volunteers and sponsors! If you are interested in volunteering, click here. For sponsorship opportunities, please click here. 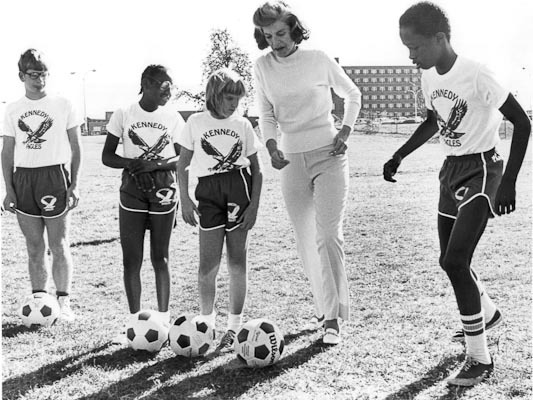 The fifth annual Eunice Kennedy Shriver (EKS) Day will take place tomorrow, September 27, 2014! This global call to action is for people to live in a more inclusive society. Not only through sports, but also in the community. We encourage all of our followers to go out tomorrow and take part in a Unified event, take some pictures, and leave a comment on this post about your day. Learn more about EKS Day here. State Fall Classic is Coming Soon! State Fall Classic is a little over three (3) weeks away! 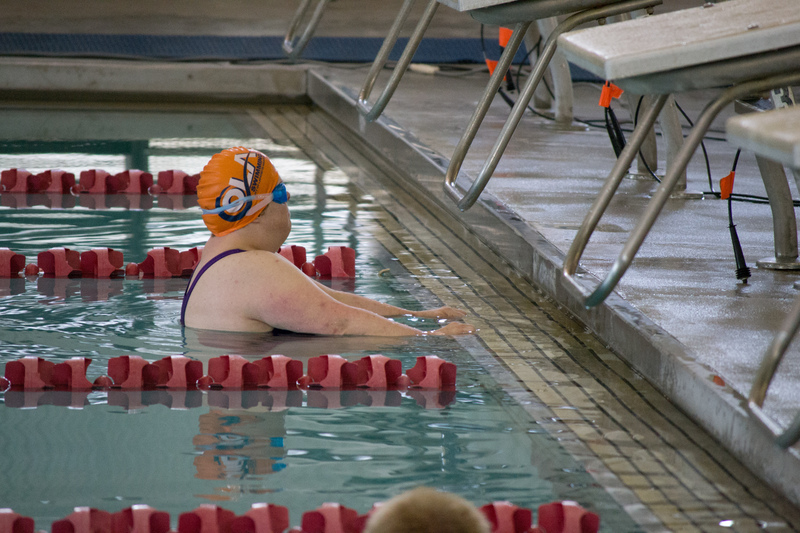 Over 400 athletes will compete in aquatics, horseshoes, and softball. Events will take place at Pelican Park in Carencro and the Robicheaux Center in Lafayette. 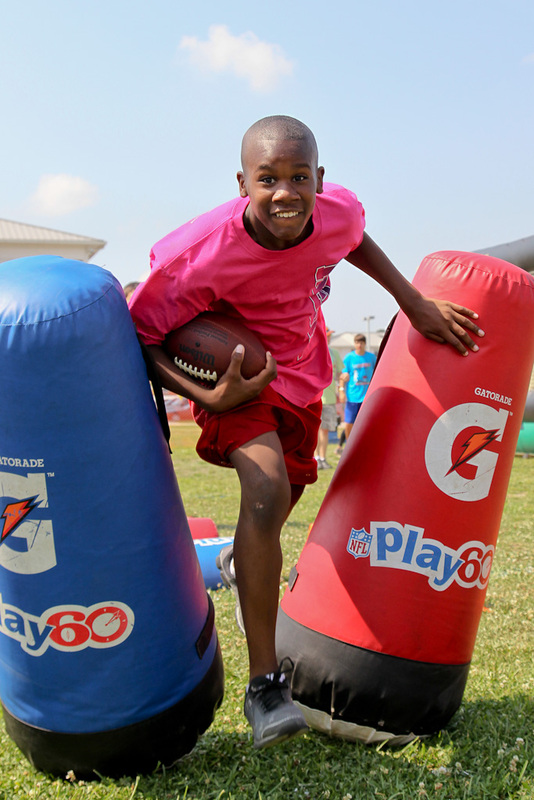 Also on the agenda is Healthy Athletes, which will provide free health screenings to our athletes, Olympic Town, which will showcase fun Games, and the Victory Dance, which will be a fun time for all of our athletes. All of these events will take place at Carencro High. As with any of our events, we rely on great volunteers! If you would like to volunteer for State Fall Classic, please click here. Also, competitions are free and open to the public! We invite you to come cheer on our athletes as they compete for the Gold, beginning with Opening Ceremonies on Friday, October 17th for 7pm at Pelican Park. Come out and be a Fan in the Stands! 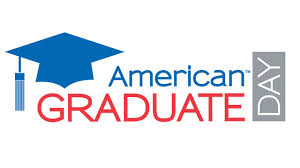 On Saturday September 27th (EKS Day) Special Olympics will be participating in “American Graduate Day,” a 7-hour live national broadcast on PBS, addressing the issue of graduation rates in the United States. And for the first time in its history, special education and Special Olympics’ work in schools will be a part of this exciting conversation! Tune in to your local PBS station on September 27th between 1:30 and 2:30 PM CST to meet athlete and youth leaders Alexa and Brooke from Special Olympics New Jersey and hear their story. A message from SOI Chairman Tim Shriver is also scheduled to be featured in the broadcast. Alexa and Brooke are scheduled to be on air close to 1:45 PM, but it is a live broadcast, hence the one hour window we’ve shared. We are thrilled to be a featured part of this national conversation addressing a critical issue for students with and without intellectual disabilities. For too long people with intellectual disabilities have been neglected and discriminated against. You have the power to change this. All it takes is getting out to play. Unified.